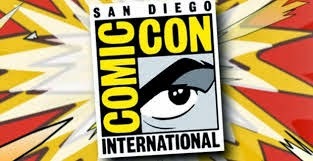 Our San Diego video production crew is gearing up for what looks to be the biggest, craziest, most exciting Comic-Con yet. With passes for the annual entertainment extravaganza selling out in 93 minutes last month, all signs point to record-breaking attendance and an all-star lineup at the four-day event, July 18-21. Our Emmy-winning Comic-Con video crews, editors and producers have been at the forefront of the expo since the 1990s, handling video needs for Sony Pictures, Warner Bros., Disney, 20th Century Fox, MTV, VH-1, Nickelodeon and “Entertainment Tonight” to name a few. This year, we’re also booking San Diego live event management, San Diego live broadcasts and San Diego webcast productions during Comic-Con. Oh, and we also love midnight zombie parades. Solana Productions has more than 15 years of experience producing, shooting and editing projects for high-profile TV shows and corporate clients. With 14 EMMY Awards, a Gracie Award and many other accolades, our team brings high standards and professional expertise to every San Diego video production.For more information about our San Diego video production crews please contact us.